The documentary Argumentative Indian is to be released this weekend, but it is yet to receive CBFC certification. The Central Board of Film Certification (CBFC) has verbally told filmmaker Suman Ghosh that it would like him to mute four words/phrases in his documentary on Amartya Sen. The four words/phrases are: ‘Gujarat’, ‘cow’, ‘Hindutva view of India’ and ‘Hindu India’. The documentary is called The Argumentative Indian. It’s awaiting certification. 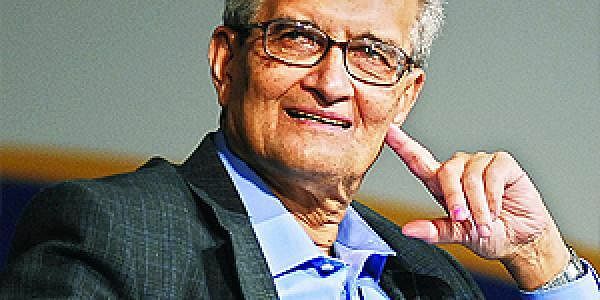 Amartya Sen uses the word "cow" once in the documentary while explaining the need for debate and argument: "There was a kind of grandness of vision there, and an integrated picture which hangs together in trying to embrace each other, not through chastising people for having mistreated a cow or some other thing, but dealing with people in terms of argument."